The number of cars was risen 10% over the last five years…. You are right if you think this looks wrong - it is wrong! But it is not unusual to see sentences like this. The general structure of the sentence is sound (word order, use of articles etc) but the writer doesn’t know how to build up compound verbs properly. 1. The number of cars rises over the last five years…. 2. The number of cars is rising over the last five years…. 3. The number of cars has risen over the last five years…. 4. The number of cars has been rising over the last five years…. 5. The number of cars rose over the last five years…. 6. The number of cars was rising over the last five years…. 7. The number of cars had risen over the last five years…. 8. The number of cars had been rising over the last five years…. Any of these sentences, even the wrong ones, reads far better than the original sentence that I gave you. Some that are not correct are acceptable and would not upset the reader too much. If you are not sure of the possible verb forms take a look at a verb chart like the one here on Englishpage.com. 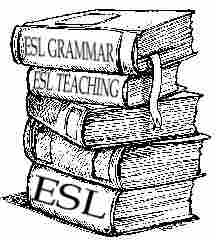 Follow the link scroll down the page to the VERB TENSE OVERVIEW table near the bottom of the page. You can see all the tenses laid out. Use what you think is the most appropriate one and make sure you make your verb agree with the subject of the sentence. Even if you choose the wrong tense your writing will be far more acceptable than if you put something grammatically impossible!